Juice the peaches. Set aside 3/4 cup of pulp. In a medium-sized saucepan, combine the water and soymilk, and bring to a boil over high heat. Reduce the heat to medium-low, and stir in the cream of brown rice or farina. Cook uncovered 3 – 4 minutes, stirring occasionally. Add the peach pulp and the remaining ingredients, and cook for an additional 3 – 4 minutes, stirring occasionally. Serve hot with unsweetened soymilk or juice. The cream of rice is a very dilicious recipe that will definetly remind you of childhood. In the first years of my life, my grandmother was cooking for us many time cream of rice, but this recipe above is a little bit improved. You should definetly try it. It is easy to be prepared at home and it’s a very fast one. 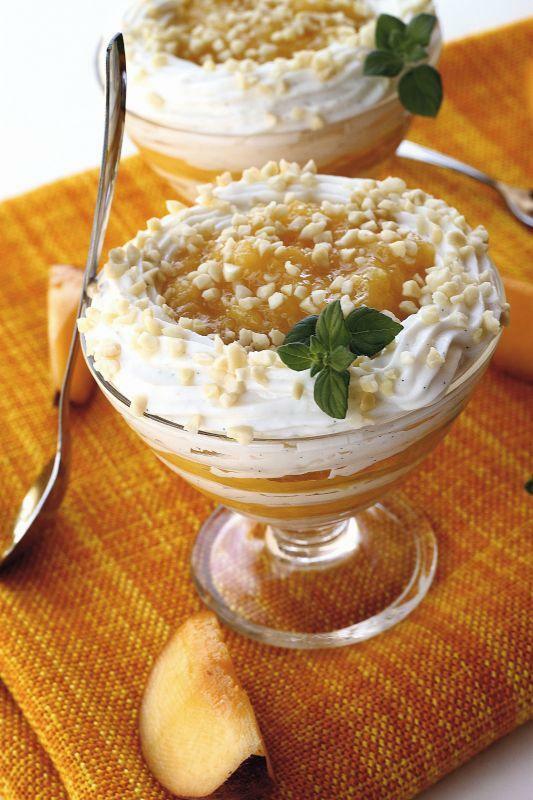 It’s up on the design you make, but this cream of rice with peaches and honey can be served easily even on a children party or a special occasion because all who will taste it will feel a bit nostalgic, so you can serve joy in a glass of cream of rice.